One of the greatest inventions of our time is mobile car detailing. No one would have ever thought a time would come when instead of taking your car for detailing, car detailers come to you. Car detailing is a convenient service that saves on time and ensures proper car maintenance. With increasing mobile car detailers in Melbourne choosing the best is a daunting task. Since mobile car detailing is a new concept, most people have made uninformed decisions that resulted in poor services and dissatisfaction. Fortunately, mobile car detailing works like any other business in the service industry. There are particular things to look out for. Here are some things to consider before choosing a mobile car detailer in Melbourne. The service industry runs on ratings. 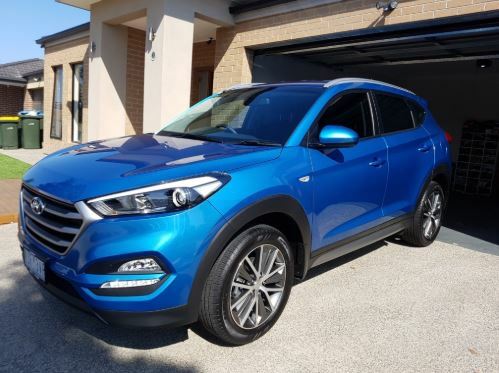 The client is never wrong is an argument that has a lot of weight when it comes to choosing a mobile car detailer in Melbourne. The quality of service offered by a car detailer will only be reflected in their ratings. Moreover, customer feedback gives insight into the waiting period, the quality of service and the pricing. Although most of this information is available on the car detailer’s website, it’s more credible coming from a client. Some clients offer reviews on the different packages and this will guide your decision. Additionally, most car detailers display customer reviews on their website especially if they are confident in their service. Most services ordered over the internet or through the phone may not be as close as you think. The response time of mobile car detailers varies depending on your location. If you are trying to save time, it would be pointless to order for mobile car detailing and wait for hours for the truck to show up. Before you choose a mobile car detailer, make sure they are within your locality. While ordering the service on the phone, you can ask for the waiting period. If it’s too long it’s pointless unless you find it more convenient to wait. Mobile car detailing requires a well-equipped team to carry out services. Some detailers offer the full range of services from outside wash to custom detail. As the cleaning operation becomes more complex, more sophisticated equipment is required to execute the job. Before choosing a mobile car detailer, ensure they offer the service you require. This may necessitate going through their packages keenly to ascertain they have the right package for you. Most detailers have fully operational detailing trucks that come with all the necessary equipment to carry out professional detailing. Only choose detailers who can do the job well. Cost is always a huge consideration in any market. Competitive prices win over clients quickly while pricey rates cause hesitance. Ironically low prices also raise questions because cheap is often expensive in the long run. When it comes to car detailing value is attached to the service depending on the type of cleaning carried out. Most mobile car detailers have standard packages and custom packages for their services. The price varies with the package selected and the type of vehicle. If your vehicle requires a special solution for cleaning, expect the price to be slightly higher. Ideally, mobile car detailing should cost anything from $66 to over $300. If the rates are too cheap, be suspicious. Experience builds trust. When it comes to the service industry, the longer you have been in business the more people trust your service. Modern equipment and efficient tools are good but they can’t match up to experience. Car detailer who have been in the game for long tend to be more efficient and meticulous in their work. They understand the uniqueness of each car and the best way to clean out hidden dirt. Their customer interaction is more professional. If you want to play it safe and get quality service, go for a mobile car detailer who has been around for a while. New mobile car detailers who present themselves professionally and have a good reputation should still be considered. Mobile car detailing is such a popular service that you have to book an appointment. Most detailers are spread across Melbourne, therefore, there is a high probability one is in your vicinity. Choose a detailer who can offer service at your convenience whether it’s at your workplace or at home. Have full detailing done without stepping out of your house or office. As mobile car detailing gains popularity more detailers will flood the market. As you choose your detailer, take caution and leave your car in safe professional care. Don’t be a victim of poor service. Choose the best mobile car detailers in town and enjoy quality service at the comfort of your home or office.